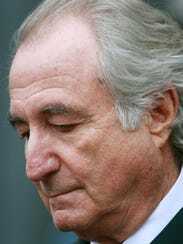 The famous Bernie Madoff ponzi scheme is still affecting victims as none of them have received repayments from the company the Department of Justice, tapped to distribute $4 billion recovered from the notorious fraud. Nearly 8½ years after Bernie Madoff was arrested, RCB Fund Services LLC is still working to finalize reviews and recommendations for 63,580 claims covering $67.8 billion in reported losses. Although fraud victims have received nothing from the fund, Breeden’s company has been paid $38.8 million for its work, Bloomberg News reported Tuesday, citing records released by the government in response to a Freedom of Information Act request. The Department of Justice appointed Breeden as special master for identifying and repaying Madoff scam victims fund in 2012. The fund largely consists of $2.2 billion seized in 2010 from the estate of deceased investor Jeffry Picower, one of Madoff’s favored clients, and $1.7 billion JPMorgan paid for failing to alert authorities to warning signs of fraud in his account at the bank. A 2014 court order created the $525 million BP Fair Fund and appointed Breeden’s firm to serve as the distributor of the money, which came from a settlement the energy giant reached with the SEC. A January 2017 update posted on the fund’s website announced the completion of nearly 125,000 compensation claim reviews and said determination notices would be sent to each claimant. “Upon receipt and review of any responses to the Determination Notices, we will be closer to determining the final amount of all claims, which is required before we can determine the actual payout percentage on eligible losses,” the posting stated.